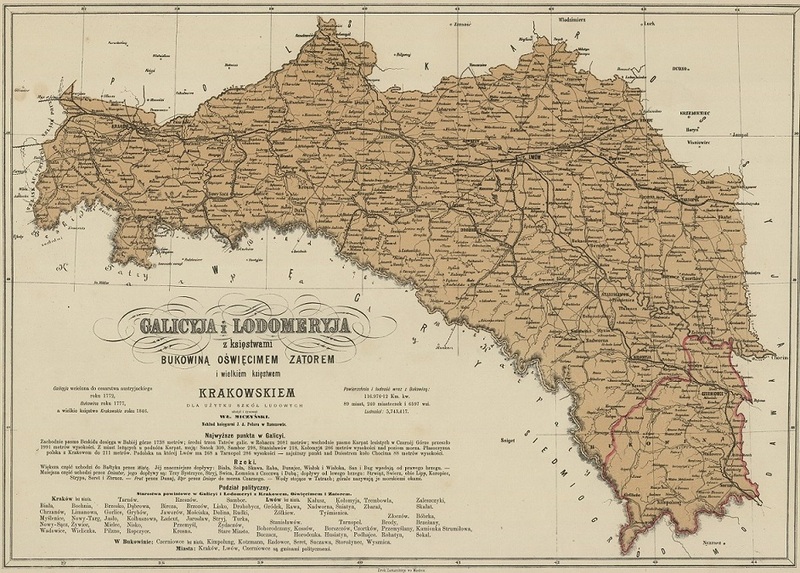 Galicia as a geopolitical entity was created in 1772 with the establishment of the Kingdom of Galicia and Lodomeria, the Austrian Empire’s easternmost crownland. 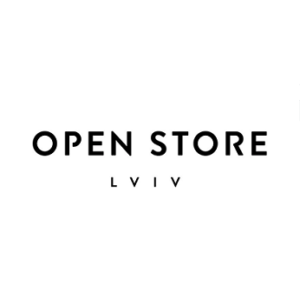 The capital of the province was Lemberg (today Lviv). 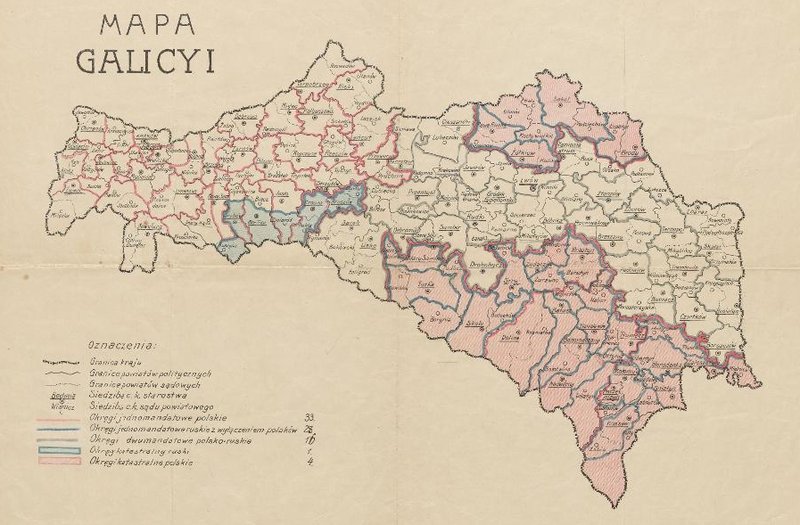 A century and a half later, in 1918, Galicia was wiped from the world’s maps, with the fall of the Austro-Hungarian Empire. 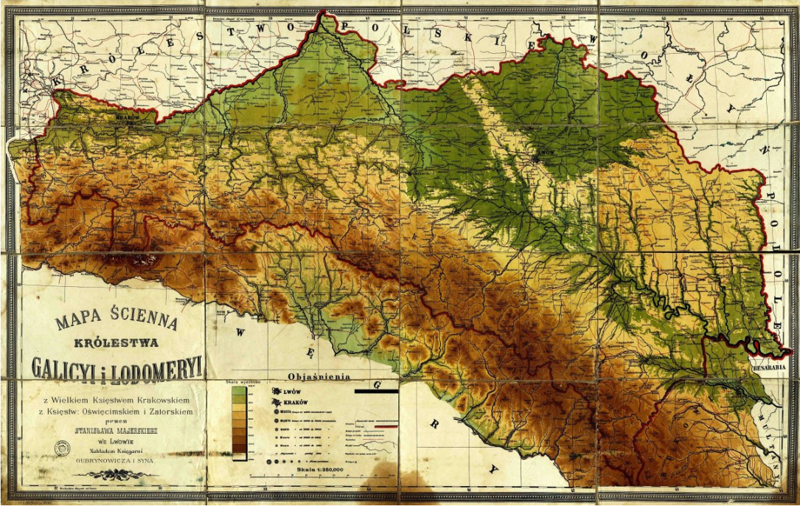 The borders of Galicia changed throughout the years. 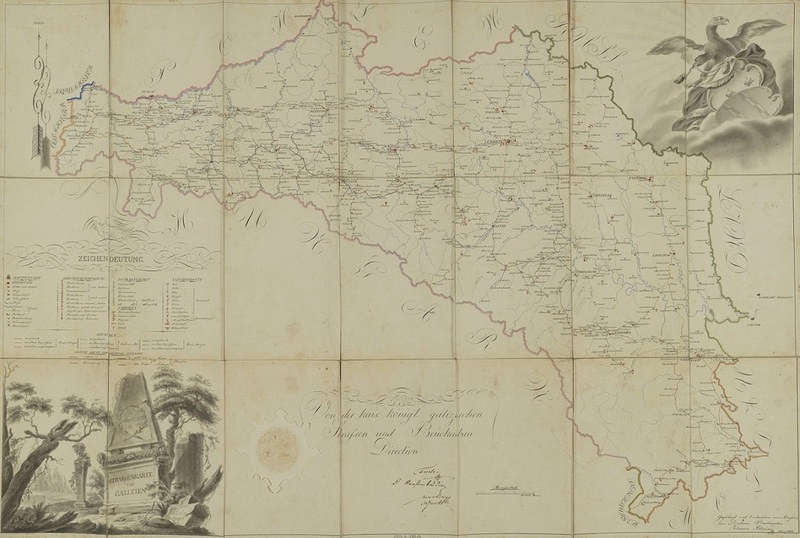 In 1795, in the Third Partition of Poland, West Galicia (also called New Galicia), which included the districts of Kraków, Lublin, Chełm, was created and merged with Galicia in 1803. 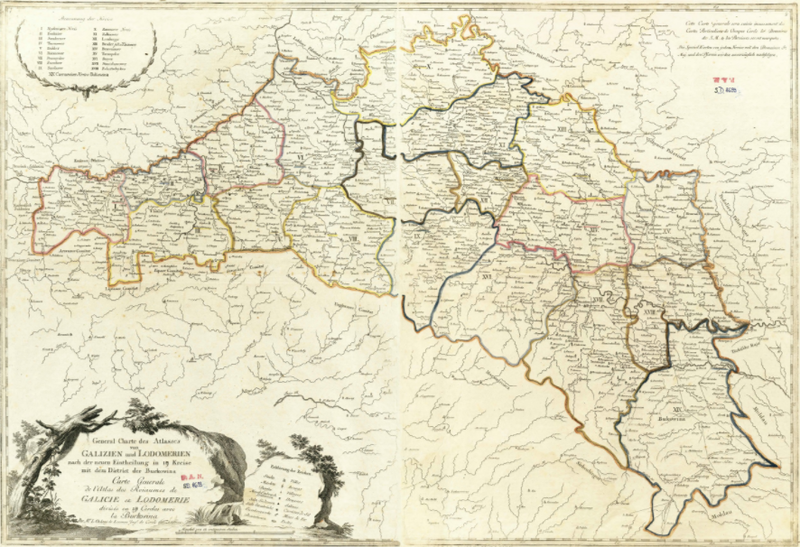 These districts, along with a small sliver of the original Galicia, including the district of Zamość, were annexed to the Grand Duchy of Warsaw in 1809. 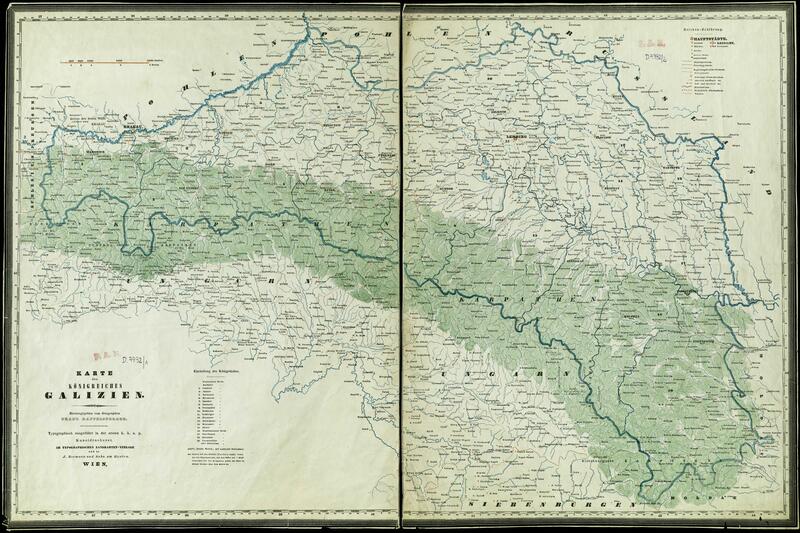 Later, West Galicia referred to only the territory just west of Jarosław through the territory around Kraków. 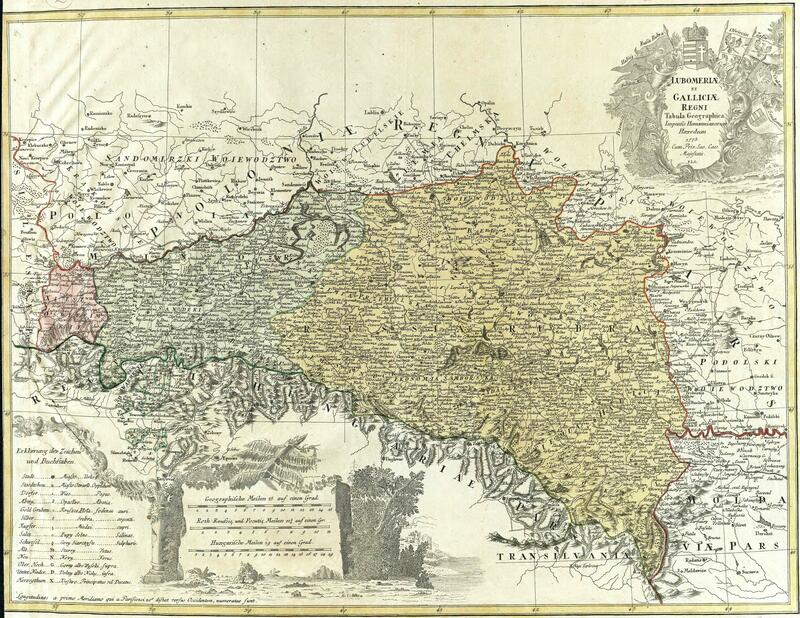 The regions of Tarnopol (Ternopil) were included in the original formation of Galicia, but in 1809 they were ceded to the Russian Empire. 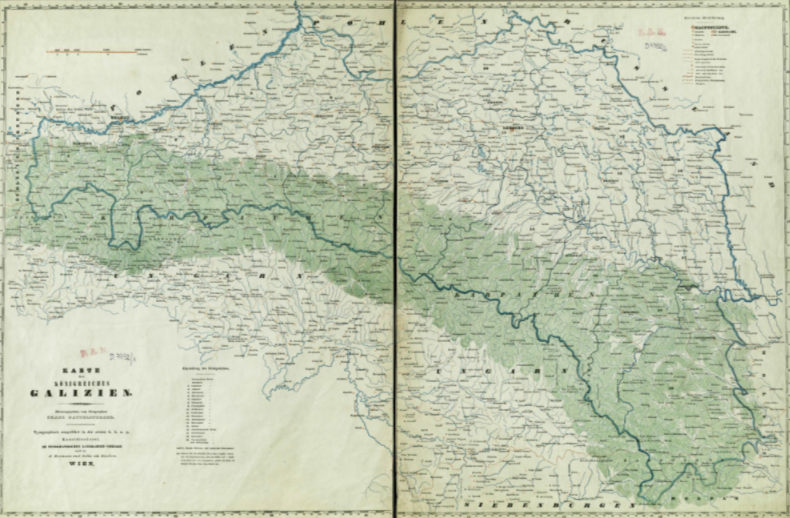 During the Congress of Vienna (1814–1815), Austria gained back these regions. 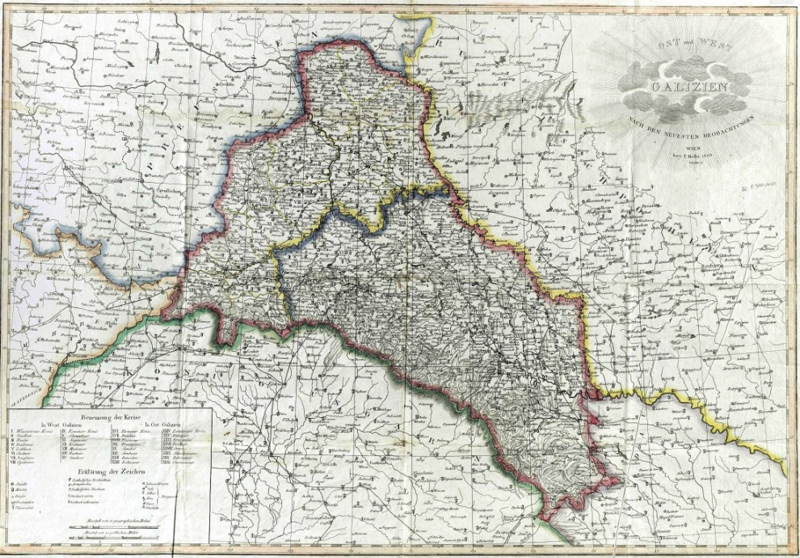 In 1815, Kraków gained the status of a free city (The Free City of Cracow) and remained so until after the Polish uprising of 1846, when it was incorporated into Galicia as the Grand Duchy of Cracow. 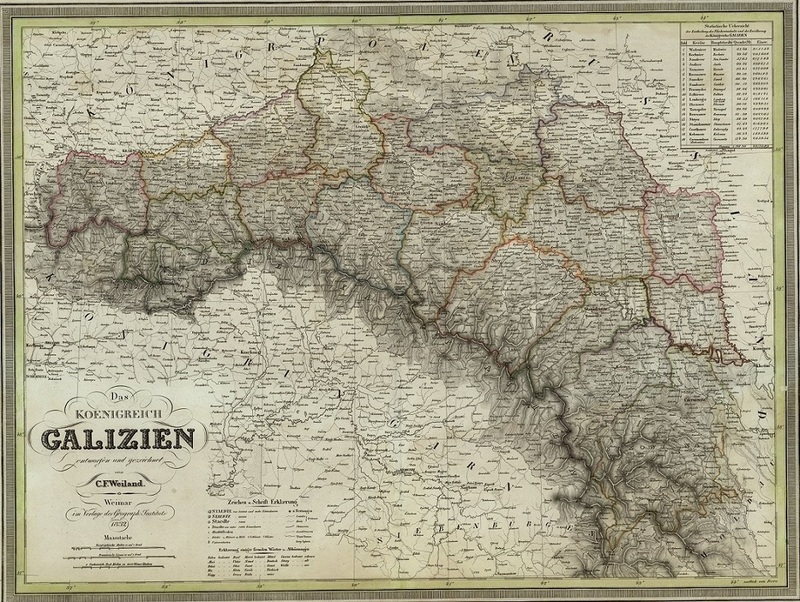 Bukovina was formally annexed to the Austrian Empire in 1775 as part of Galicia. 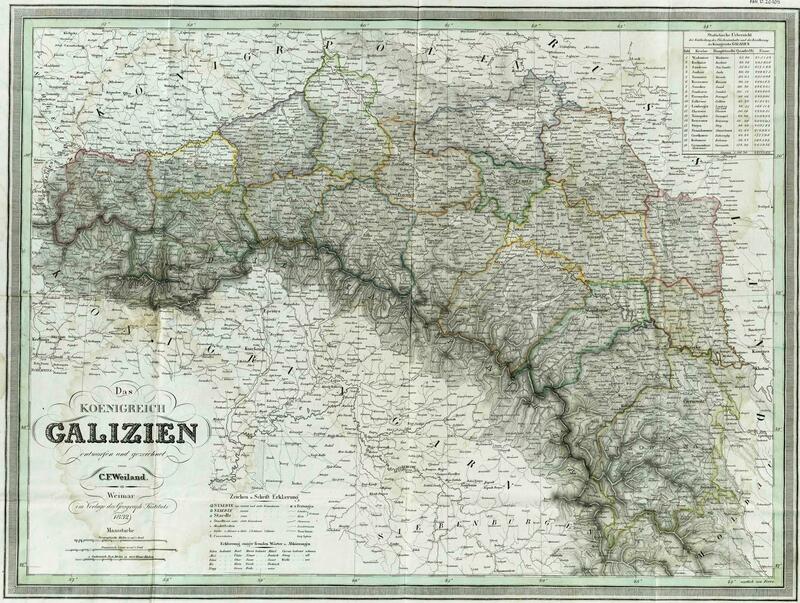 In 1849, Bukovina became a separate Austrian crownland, with its capital at Czernowitz (Chernivtsi). 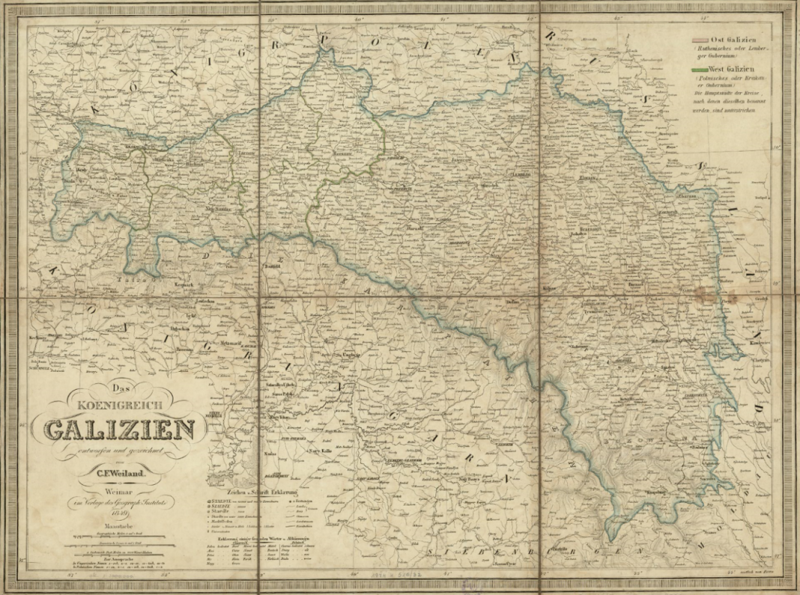 The Polish digital library Polona has a wonderful collection of high-resolution zoomable maps of Galicia. 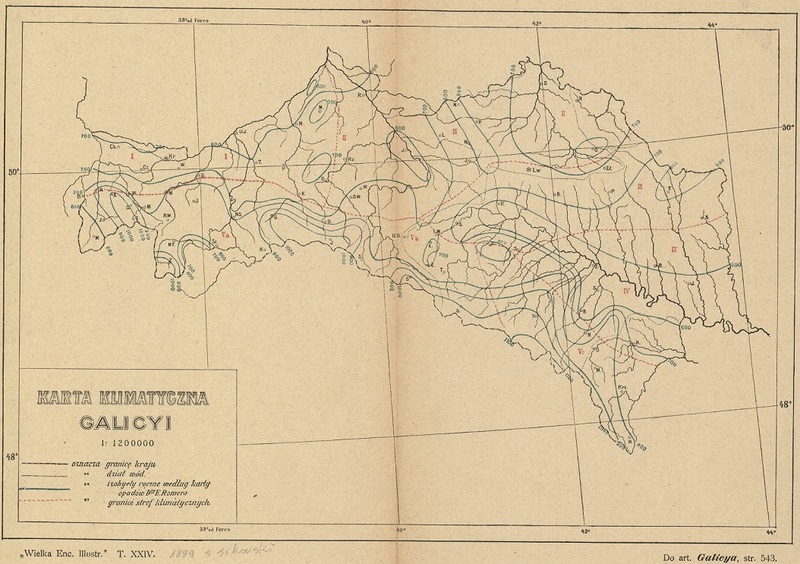 The website Topographic Maps of Eastern Europe, which offers a collection of small and large scale historical maps of the lands of the former Polish-Lithuanian Commonwealth and the Pale of Jewish Settlement in late Tsarist Russia, has a page devoted Galicia. 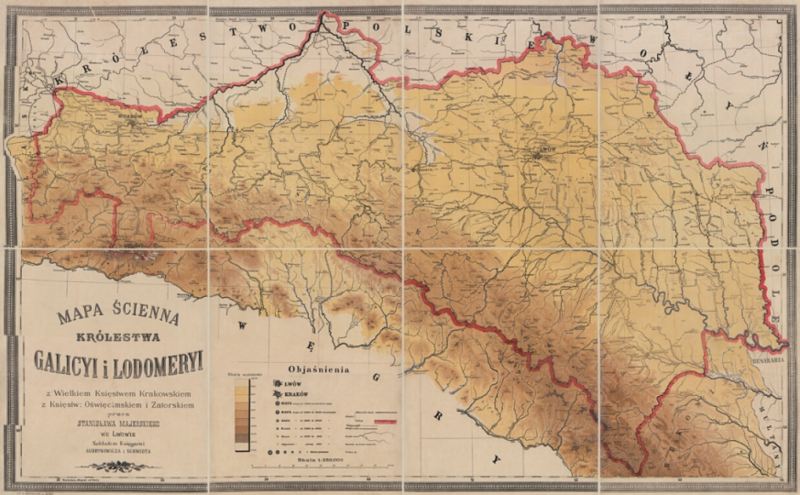 The Gesher Galicia Map Room, a long-term research project to acquire and publish land and building records in the former Austro-Hungarian province of Galicia, in addition to an extensive collection of cadastral and street maps, has a number of regional Galicia maps. 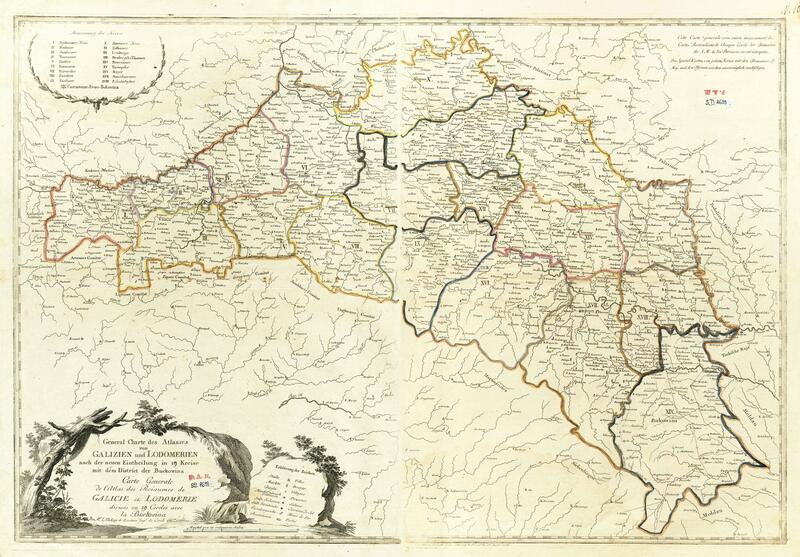 Below is a collection of different types of historic maps of Galicia spanning from 1775 (the oldest map of Galicia I found, made just a few years after the creation of the crownland) through 1918, the year Galicia ceased to exist as administrative unit. 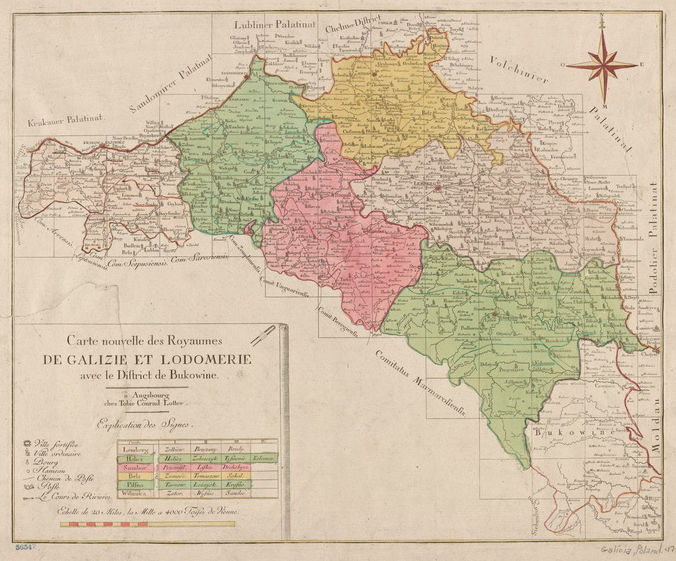 A New Map of the Kingdoms of Galicia and Lodomeria with the District of Bukovina. 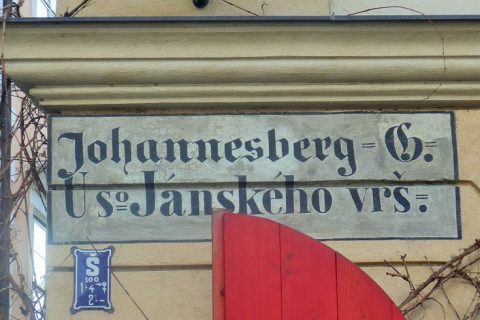 Fortified cities, villages, towns, hamlets, post routes, and post offices are marked on the map, with a French key to the symbols. Original digital size can be found here. 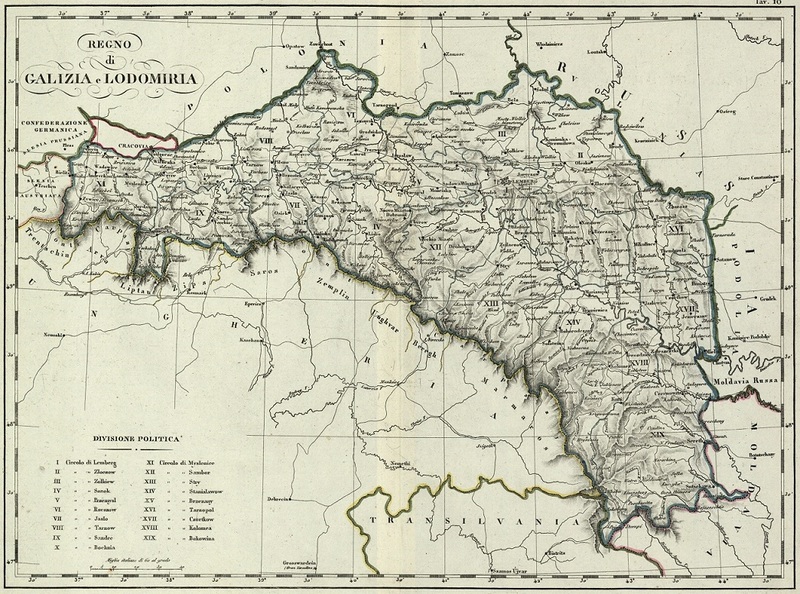 Map of Galicia and Lodomeria. Map is in French and German. 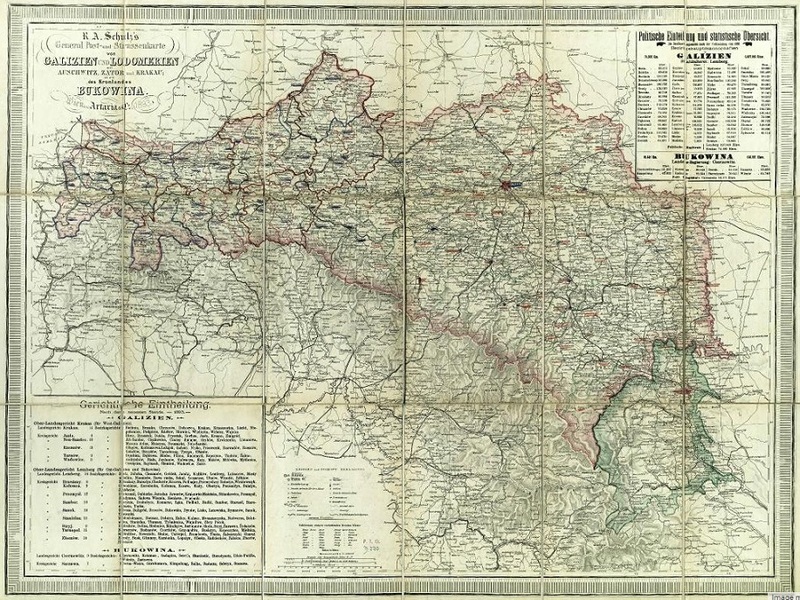 The Zamość region, at the uppermost center of the map, is included in this early configuration of Galicia. 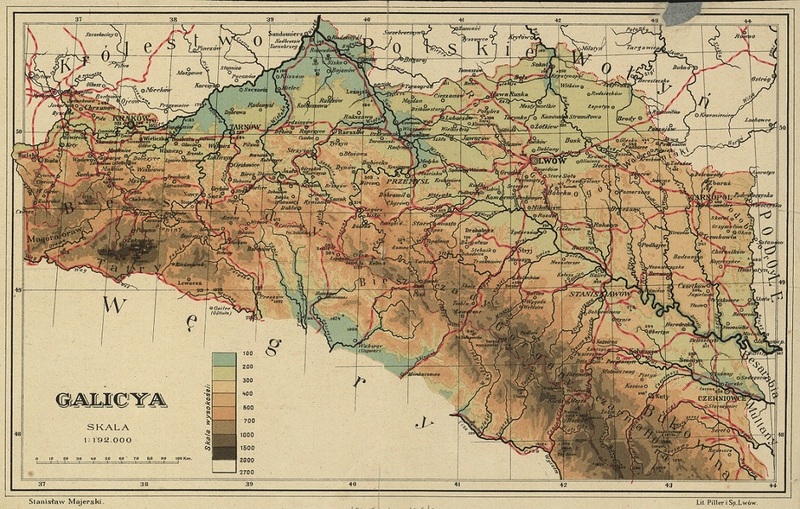 Road Map of Galicia. 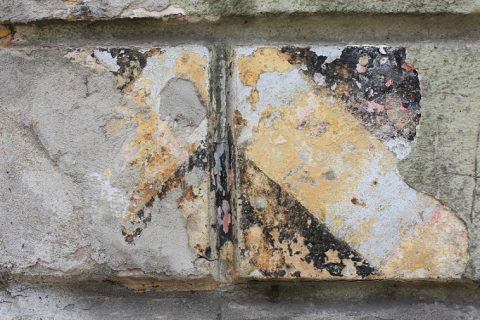 From the Imperial and Royal Galician Roads and Bridge Construction Direction. 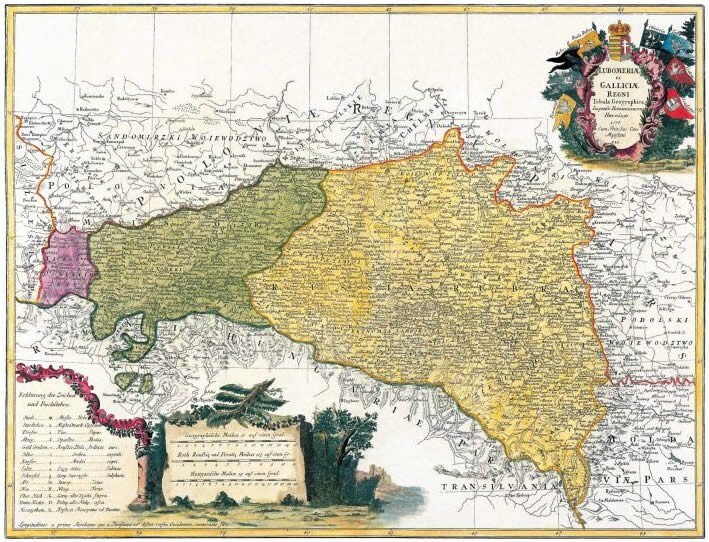 Galicia no longer includes the northern districts of the original West Galicia, which were lost to the Grand Duchy of Warsaw in 1809. Was Rudenka a city inGalicia? 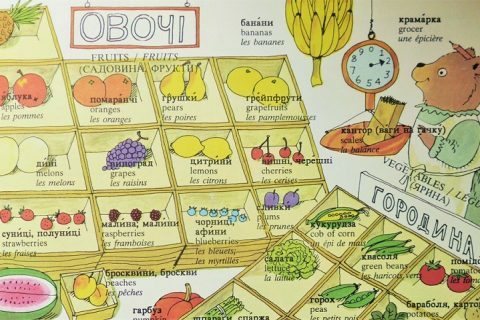 If you mean this village (https://en.wikipedia.org/wiki/Rudenka) then yes, I believe so. Je suis impressionnée par vos recherches, je ne pensais pas trouver autant de documentation sur un seul site, bravo! 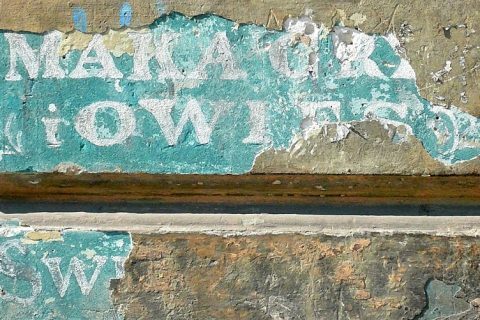 I am looking for Popovitsi or Popowce who existed in 1911.